Because of its degenerative quality, canine degenerative myelopathy (DM) starts out with mild symptoms. Over time, however, it makes it impossible for your dog to manage its own bodily functions. DM is not painful, but in essence, it "short circuits" nerve pathways from the brain to the limbs so that, over the course of about a year, the dog loses its ability to feel or use its limbs. What Is Canine Degenerative Myelopathy? Canine degenerative myelopathy is a slowly progressive disease of the spinal cord. It has been compared to ALS in humans. The symptoms start gradually and the disease usually progresses through three distinct stages over the course of six months to a year. The early stages of degenerative myelopathy start with an almost imperceptible weakness in the animal's hindquarters. DM is an insidious disease and it is all too easy to overlook in the early stages. One clue can be uneven wear on a dog's rear nails, though this can be caused by many other things. When the dog is in a standing position, if you move the dog from side to side, using your hands, the dog will lose its balance and topple over. Often, you will notice exaggerated movements, such high stepping when going up a curb. This is due to proprioceptive functions being affected by DM. As the condition worsens, you'll notice the tail will rarely become active and wag. If the tail is longer, the dog’s legs will easily become tangled in it. If the dog’s foot is placed on the ground, toes down, the dog will not right its foot, or there may be a delayed response time. This delay is due to the fact that the dog cannot feel its foot. A dog with feeling in its hind paws will have a quick/quicker response in placing its foot in the proper position. A dog with little or no feeling will have a slow or non-existent reflex action placing its foot in the proper, pad-down position. During the final stage, the dog will not be able to bear any weight, on its own, in the hindquarters. The affected dog will not be able to get up or, once lifted, will not be able to remain in a standing position without some form of support for its hindquarters. This can happen overnight or within the space of a few days. Urinary incontinence and bowel incontinence will occur at this stage. 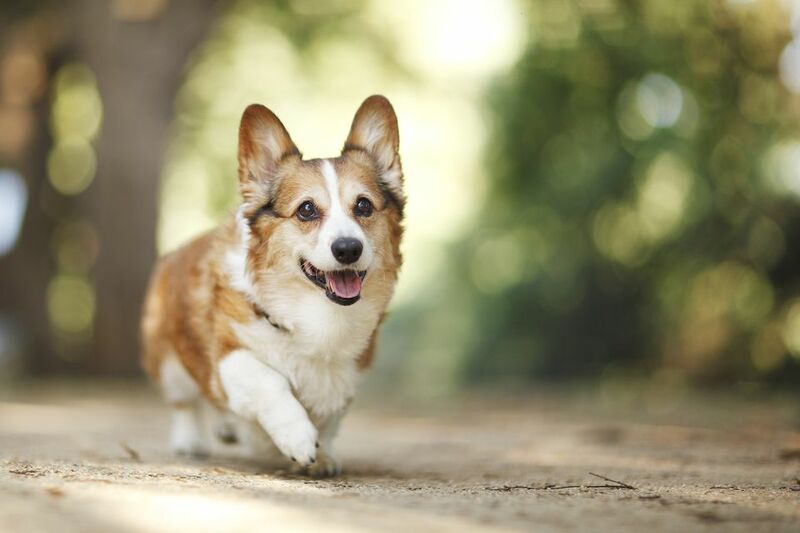 DM is a genetic disorder which occurs in some dogs, usually after the age of 8; it is possible to test for the gene responsible for DM, but in some cases that gene does not activate. Degeneration occurs in the white matter of spine and nerves; the result is a loss of the communication between the brain and the limbs. Over the course of the disease, the dog loses sensation in its limbs along with the ability to control movement. DM cannot be prevented. DM is diagnosed through a process of elimination. There are a number of disorders with symptoms similar to DM; these include herniated disk, tumors and cysts, injuries, strokes, and infections. Once these disorders are ruled out through tests such as x-rays, MRIs, and CAT scans, the remaining possibility is DM. The only way to absolutely prove a diagnosis of DM is to examine a dog's spinal matter after its death. There is no effective treatment at the present time to slow or cure DM. Treatment, therefore, is limited to quality of life options such as monitoring for urinary infections, use of harnesses and carts to increase mobility, and good nursing care. You may want to protect your dog's feet from scraping and bleeding, but putting booties on a DM dog's feet will cause more harm. Walking the dog on grassy surfaces while using a rear end harness will allow you to lift the hindquarters into a position for correct foot placement. The Bottoms Up Leash or the Hartman Harness are some of the items people have found to be extremely helpful. Carts can be successfully used outdoors. There are many lightweight carts that have been introduced to the marketplace. Never hold or attempt to hold a DM dog up by its tail. To do so can cause great harm to a DM dog. Holding a DM dog up, supporting it, or lifting it by the tail can break the tail. What is Progressive Retinal Atrophy in Dogs and Can You Stop it? What Is Dermatomyositis in Dogs and What Can You Do About It?